This year's theme aims to promote a more inclusive and evidence-based discourse on decentralization issues and reforms, including the debates around federalism. In celebration of the 15th Development Policy Research Month (DPRM), the NEDA Region 5 conducted a forum on Strengthening Decentralization for Regional Development on September 26, 2017 at NEDA Region 5, Legazpi City. The forum highlighted two topics: (a) the proposed amendments of the Local Government Code (LGC) of 1991; and (b) a proposed federal structure for the Philippines. Planning officers of provinces and cities in Bicol, private sector representatives of the Bicol Regional Development Council, and NEDA Region 5 personnel attended the half-day forum. Atty. Arnaldo E. Escober, Jr., the assistant regional director of the Department of the Interior and Local Government (DILG) Region 5, presented the proposed amendments of the LGC. He cited specific provisions that are proposed to be amended, including the issues and rationale for amending them. 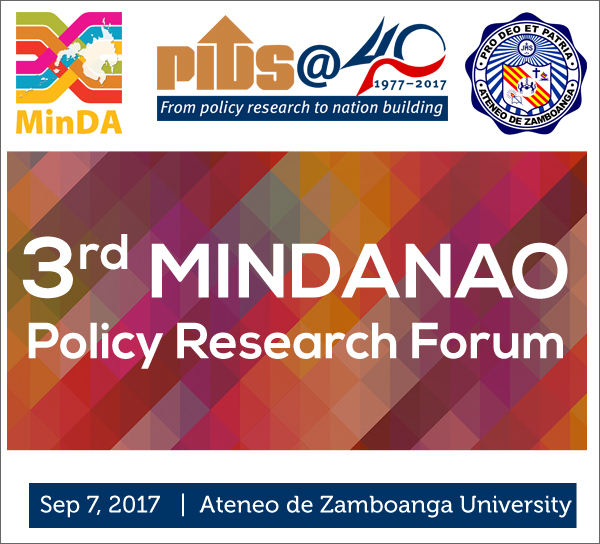 His presentation was culled from the LGC review conducted by Dr. Rosario Manasan of the Philippine Institute for Development Studies. The proposed amendments, as provided in Dr. Manasan’s review, will be discussed during a national consultation workshop to be held on October 6, 2017. The Association of Southeast Asia Nations (ASEAN) should continue pushing for trade reforms and liberalization amid the rising protectionism across the globe. Experts from the ASEAN and East Asia region made this call at a recent public symposium on ASEAN Economic Community and Nation Building organized by state think tank Philippine Institute for Development Studies and Jakarta-based Economic Research Institute for ASEAN and East Asia. In his keynote message, Australian National University Emeritus Professor Peter Drysdale pointed out that ASEAN should continue its ‘open regionalism’ strategy in dealing with the protectionist stance adopted by the industrial world, particularly the US and Europe. According to Drysdale, this strategy has been the driver of growth and economic security in the region for the past 50 years. He likewise cautioned that retreating to protectionist measures would cost ASEAN its growth as well as the income and jobs for its peoples. 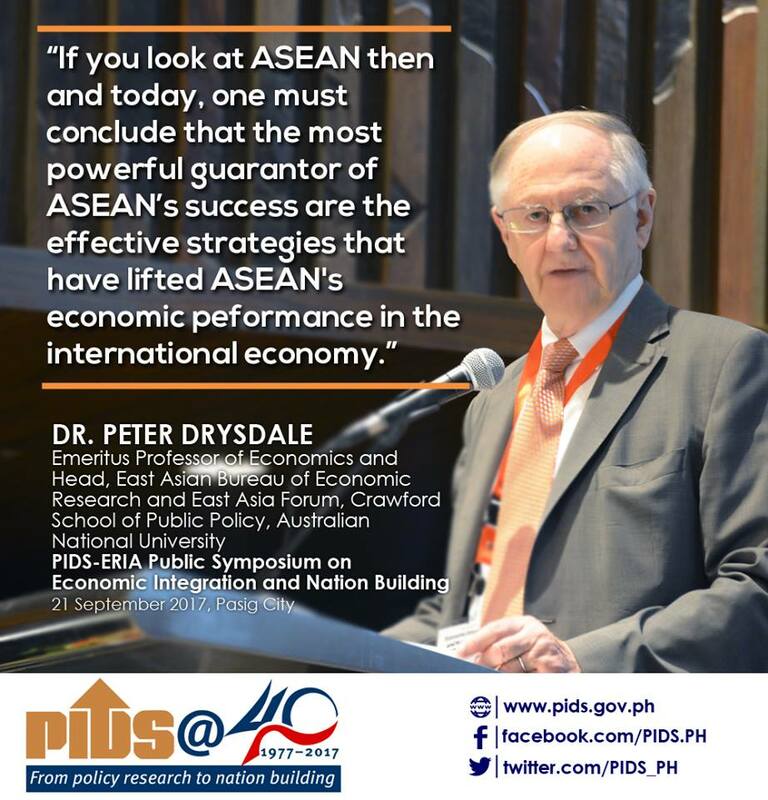 “The correct strategy for ASEAN is to hold firm and maintain course towards openness, reinforcing reforms and growth and economic security,” Drysdale emphasized. The Association of Southeast Asian Nations (ASEAN) has significantly helped its member-states achieved economic progress, a Vietnamese senior economic official said. At the Public Symposium on Economic Integration and Nation Building held in Manila recently, Dr. Vo Tri Thanh, former vice president and a senior expert of the Central Institute for Economic Management of Viet Nam, praised ASEAN for pushing its member-states to aim for sustainability, inclusiveness, and innovation. The symposium is one of the commemorative outreach activities organized by state think tank Philippine Institute for Development Studies (PIDS) and Jakarta-based Economic Research Institute for ASEAN and East Asia (ERIA) to celebrate ASEAN’s 50th anniversary this year. It aims to enhance the engagement of stakeholders of ASEAN on economic issues to promote a better understanding of the ASEAN economic integration. To achieve the goals of the ASEAN Economic Community (AEC) 2025, ASEAN member-states should strive to achieve an environment where good governance prevails so that micro, small, and medium enterprises (MSMEs) can thrive. This was emphasized by Sri Datuk Dr. Rebecca Sta. Maria during a public symposium on ASEAN Economic Integration and Nation Building held recently at the Marco Polo Hotel in Ortigas. 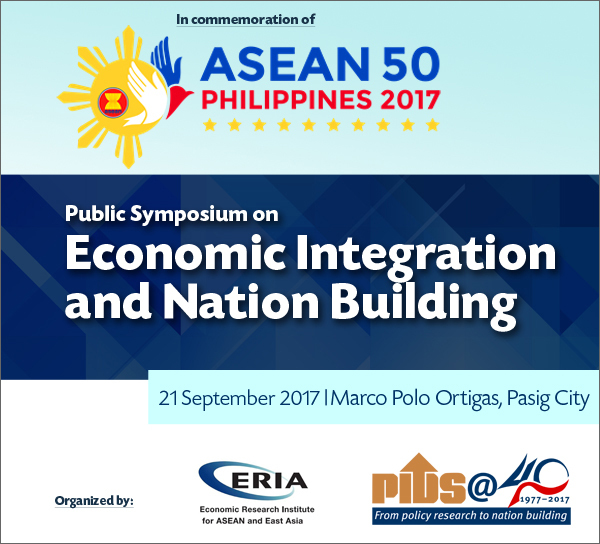 The event, which aimed at highlighting the opportunities and challenges in building the ASEAN Economic Community (AEC), was organized by state think tank Philippine Institute for Development Studies (PIDS) and Jakarta-based Economic Research Institute for ASEAN and East Asia (ERIA) in support of the 50th founding anniversary of the Association of Southeast Asian Nations (ASEAN). According to Sta. Maria, a senior policy fellow at ERIA, part of good governance in the ASEAN context is making sure that governments have a strong relationship with the business community and this includes conducting regular consultations. 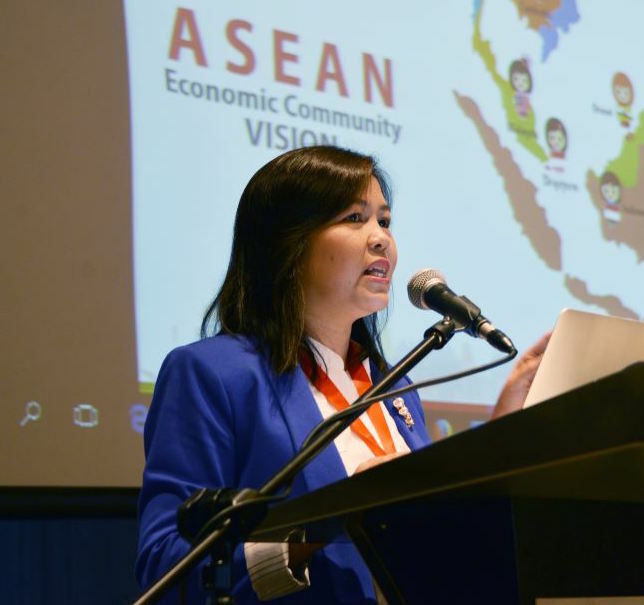 “Programs involving micro, small, and medium enterprises, regular consultation with the business community—these provide voice to different sectors of society in the ASEAN,” she explained. The Philippines has made some progress in decentralizing powers to local government units, but the government needs to do more. 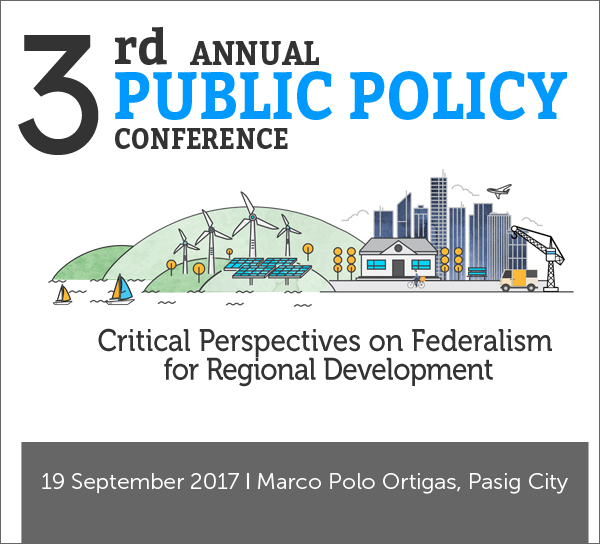 This was what international experts agreed during the third Annual Public Policy Conference (APPC) organized by the state think tank Philippine Institute for Development Studies held recently at the Marco Polo Hotel as part of the observance of the Development Policy Research Month. “The Philippines is easily one of the most decentralized countries already within Southeast Asia, far more decentralized than federal Malaysia,” Australian National University Professor Paul Hutchcroft said. He, however, added that there is much more to be done and consider if the country decides to shift to a federal form of government—a proposal that has gained traction since President Rodrigo Duterte assumed office in 2016 in a bid to solve the weak regional development and inefficient public service delivery in the country. For one, stakeholders must remember that there is no one-size-fits-all kind of federalism, or major political reform for that matter, adding that the type of federalism to be adopted depends on the needs of the people and the preexisting political conditions in the country. It also underscores the "need for promoting, enhancing, installing, and drawing awareness and appreciation of the importance and necessity of policy research" in development planning and policymaking.